If you are a seller or wish to start your business, you know that people today want everything at their fingertips. In this digital era, you definitely would want to stay ahead in the race in an ever-changing and growing market. So, an online store is necessary for your commercial growth. Now the problem is that chances are you are not very familiar with programming, creating, developing and managing stuff online. The online market is rapidly growing and e-commerce is the top priority of suppliers today. For making your tasks easier, Software developers provide you with various platforms on which you can set up your store with no to a minimum knowledge of hows, whens, and wheres of software engineering. Setting up an e-commerce website today is a cakewalk. One is open to so many options that provide e-commerce platforms to build an online store. But what makes it a cumbersome task is all the things that come after setting up your store. What themes to choose, which package to pick and all the versatile e-commerce tools that come with these e-commerce platforms add to the confusion. Two of the Top in the categories are- Shopify and BigCommerce. Founded in 2004, Shopify is a Canadian e-commerce company. Shopify is known to develop for computer software for e-commerce sales and for providing point-of-sale for combining offline physical sales with online sales. Founded in 2009, BigCommerce is an e-commerce platform development company originally and initially headquartered in Australia. However, now they consider their headquarters to be in Austin. So here, we will see two big competitors compared, not to take out a winner. However to make you more clear about your needs and which of these two can serve you better as per your needs. We have listed a few criteria based on which we will weigh both the platforms one-by-one. Shopify has over 325,000 paid users and has processed over $24 billion worth of transactions. This averages out to $73,846 worth of product sales per merchant using Shopify. Big Commerce has over 95,000 paid users and has processed over $9 billion worth of transaction to date. BigCommerce seems to be lying behind in the race of credibility but Shopify has been longer in the race and this factor also plays an important role in determining transaction rate. This is the beginning of the set up where you have to buy a package from your online store. (resembling real site for a physical store where your physical store would’ve existed). Plans for setting up your store depending on your personal needs, requirements and expectations from the platform you have chosen, as well as from customers you desire to sell your products to. Both Shopify and BigCommerce have very elaborative terms when it comes to their plans and both of them come with a similar categorization of 4 plans varying at levels: Basic, Mediocre, High, and Store-specific- If your business tends to be very big in the market. But Shopify has a unique “Shopify Lite” plan that cannot be used if you own or decide to own an online store, but it can be used to integrate selling products when you already have a website (not an online store) running and it provides a “Buy from Shopify” functionality that can be added to your already running website. 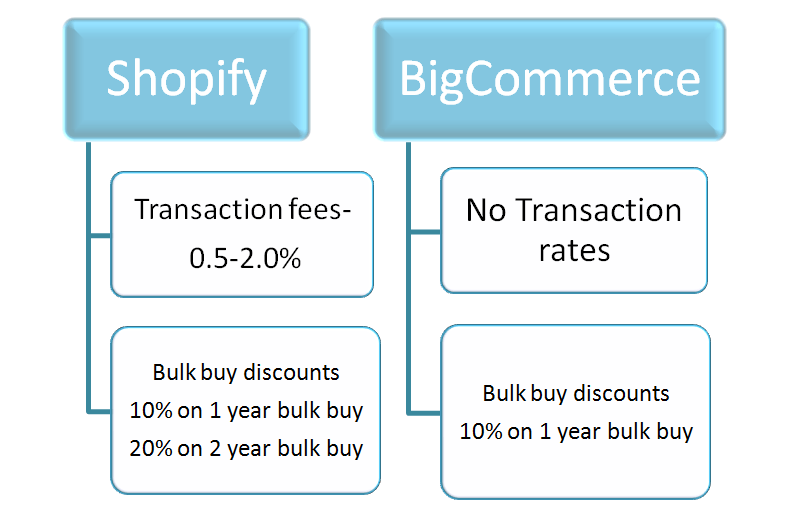 When it comes to the collection of transaction fees, BigCommerce provides an aid of not charging you with any, whereas Shopify charges transaction fees ranging between 0.5-2.0% depending on the plan chosen. However, these transaction fees can be completely waived off when you choose to work with Shopify’s Stripe gateway. In both, if you purchase an entire year worth of service, you can get a bulk discount of 10%. But for a 2-year plan purchased together, Shopify provides 20% discount. Note that in BigCommerce, you are required to upgrade your plan if your sales exceed a threshold pre-settled by BigCommerce. There is no such limitation to any specific plan in terms of turnover in Shopify. The look and feel of your website decide how much value it is going to hold. No matter how much time and ideas you have invested in the backend, your frontend needs to engage an audience (or in this case potential buyers) so the selection of themes plays a very important role. You select from what’s available and both, Shopify and BigCommerce play their cards very carefully. Shopify is a bit ahead of the game since it has a fully fledged store of a total of 170+ themes and out of these around 24 themes are free. The thing with BigCommerce themes is that their theme store has been recently updated (in 2016) and before that, all themes seemed outdated (based on reviews). So they are lagging with just 83 themes and 7 of these are available for free. The average cost of a theme in Shopify is around $100-$180. Whereas average cost of a theme in BigCommerce is around $145-#235. Also since Shopify allows freelancer theme developers, Shopify themes are always a bundle of versatility and latest trends. All themes of Shopify are mobile responsive but with BigCommerce, not all but some themes are responsive. Since smartphones are convenient to carry and to use as compared to Computers, your aim should be to make your site mobile friendly. Mobile responsive websites adapt to the screen dimensions of the devices into which we load these websites. It is not just about the convenience. Many search engines use Mobile- Friendliness Test as a ranking factor. Hence, if your website is not user-friendly, your store is losing a chance of being top in the game. All the themes available at Shopify are responsive, meaning they automatically adjust to screen ratio on any tablets, phones, and devices. Some of the BigCommerce themes are not mobile responsive. Money exchange is one aspect that cannot be handled liberally. With everything just some clicks and swipes away, transfer of money online comes with its own set of pros and cons. Customers must find your money accepting methods reliable and secure. At times, we all have refrained from buying stuff from a particular online store because payment methods seem to be a bit deceiving or not so decent. 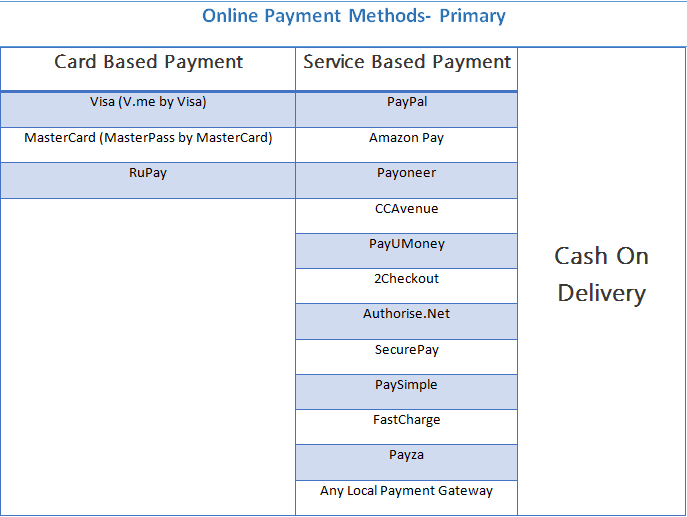 Payment Gateway undoubtedly plays vital in customer conversion. So, in a way, choice of payment gateway plays a considerable role in determining the credibility of your store. 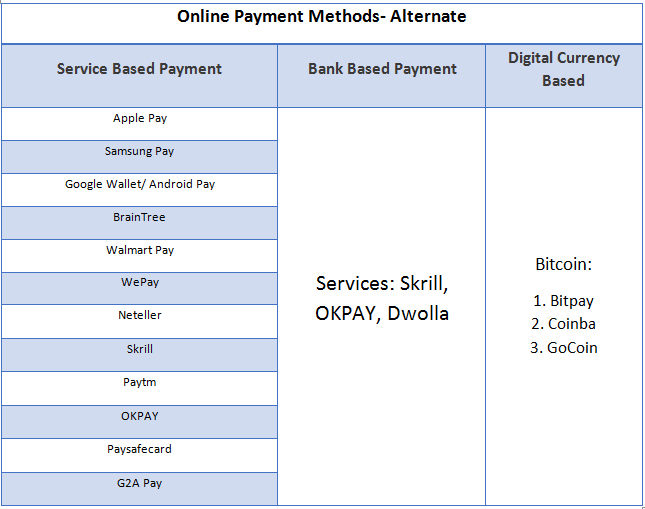 Setting payment gateway with these platforms comes with a lot of ease and pre-established domains. You will have a lot of various options and therefore less burden of determining what’s secure and what’s not. Shopify offers its own payment gateway namely Shopify Payments in association with Stripe. This is reportedly a very secure system. Also, it comes with an ease of operating since you don’t need to have a separate dashboard for managing payments. Both Shopify and BigCommerce allow you to get involved with third-party payment gateways. BigCommerce offers you to integrate with over 30 payment gateways PayPal powered by Braintree, 2Checkout, Worldpay, Stripe, and Chase Paymentech. Shopify offers you 70 payment gateways like Paypal, Stripe, Authorize.Net, 2Checkout, Firstdata, Amazon payments to accept payment via credit cards from all over the world. Apps are basically to add functionality to your website. Platforms provide all the additional functionalities in the form of downloadable and installable apps. If only you could get away with deciding which plan to buy and what theme to choose! Both Shopify and BigCommerce have their app store established and both allow third-party apps to be installed and used. Shopify has a wider range of apps with over 1400 apps in its app store whereas BigCommerce has just about 250 apps. Shopify distributes its apps in 10 basic categories while BigCommerce distributes apps in 21 categories. Shopify apps are classified in 4 Collection classes and BigCommerce apps are classified in 5 Collection Classes. Point of Sale technically means time and place where a transaction occurs. Wouldn’t it be convenient if you could be able to manage your online store on any device from anywhere? Wouldn’t it lessen your burden if you could somehow manage sales of your offline store along with your online store with ease? Shopify POS app lets you manage your store on any device. The best part is you no longer have to copy data from one place to another. This way you can manage your offline store too (if you have any) and not care about summing up the calculations of total sales anytime. BigCommerce also lets you manage multiple transactions via POS but they do this with ‘Square’ since they do not have their own personalized app. The more you work on your store, the more stuff gets added to it. The more the stuff, the more you have invested. Moreover, anything online can never be considered as completely safe. Therefore, your security measures need to be tight to ensure your investments are not swayed away. When you’re ready to trust a platform for running and maintaining your entire business online, security is something that should always concern you. But today’s highly responsive facilities make it look like a secondary issue. Both Shopify and BigCommerce take care of all security upgrades and ensure your website is always up and running, and does not get hacked. Also, SSL certificates are activated in both on checkout page by default for encryption to maintain the integrity of store’s information. Shopify also lets you activate SSL certificate in the storefront for ensuring security when browsing frontend of the store. You have your store on and running online and you’re waiting for the orders to patch in. Just then, you decide to test how much reachable your store is, via various search engines like Google, Bing, etc. When you search the name of your store, chances are it is nowhere to be found on first or even second page of your search results. The ambition of Search Engine Optimization is to make sure your website is reachable to the interested public, with the use of various techniques. Some of these techniques can be facilitated by the platform you have set up your store on. Both Shopify and BigCommerce make sure you get a good worth for choosing any of these. However, the way they implement SEO is different in both. 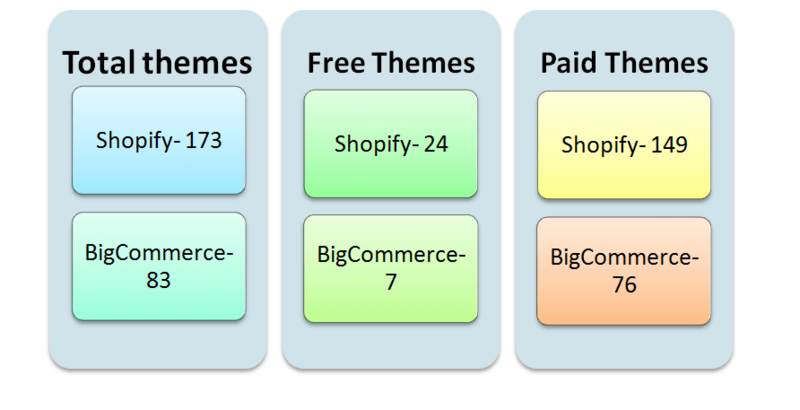 The following list shows what facilities are available by Shopify as well as BigCommerce for implementing SEO. Editable Title tags enhance the use of words that people are using to search for the particular products that you have listed. So basically title tags help people reach to your store. Meta descriptions are brief explanations of your products that will add in improving search engine result pages. It will take into consideration all that you have mentioned in the meta description, and if it is perfectly crafted, then search engines will rank your store better. Customizable file names and ALT tags are a handful just like title tags and meta descriptions, but for images that you include. File names should be relevant and exact or nearer to what people are searching for that particular products. ALT tags contain text that will be displayed when an image hasn’t been loaded. That should clearly give the idea of the image. Canonical URL tags come in use whenever content seems to be copied or taken from a place and is displayed in some other place. Canonical URL tags can be used in two ways. This is the type which helps in improving SEO for your website. When your store has the same type of content or products, you can use canonical tags to determine which, among of these is the main, original one, so that it helps search engines to understand what to refer and put at the top while ranking. Otherwise, if everything appears to be similar in terms of title tags and descriptions, none of the pages get ranked by search engines. If you have to upload products in bulk, then this feature is used. It happens to be so that we want to move our store from one online site to another, for changing platform or for setting up a feature upgraded site. The feature of importing products comes handy when we switch from one platform or site to another. Shopify does this by extracting products data from CSV files and then it converts these into products in your shop. BigCommerce does the same by extracting CSV as well as XML files. Ideally, hosting providers let you buy space for uploading your website on the internet. Since your business is running online and it may or may not have a physical sign of a shop, you should know where on the internet cloud, exactly it is being hosted and how. Hosting is an added benefit to both of these platforms or any Content Management System in general. Both take care of hosting very precisely taking off the burden from the store owner. Backup is something that may not be a primary focus when you are working on your store, but it becomes the basic most need when you are making any uncertain changes in the backend, or due to any threat, data may get altered. Both the platforms back up your data automatically at the end of every day. If you want your store’s ranking to be among the top, page speed is one of the ways to go for. Pagespeed indicates average time your site’s pages take to load in the browser, and the relation is self-explanatory. 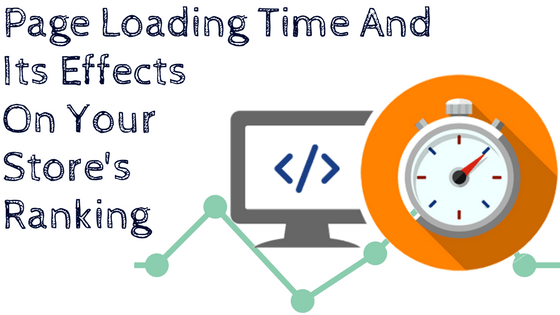 The faster the pages on your website load, the lesser will be its page speed. Pagespeed for Shopify is 1 sec which is less than BigCommerce’s 1.5 sec. If you’re old in the business with your store set up online, you already know that the story doesn’t end to the store only. You are supposed to be where the potential buyers are and they are simply everywhere. And this is where Multichannel Marketing is implied. You need to convert as much traffic as possible. This happens when your store is visible on various social media platforms like Facebook, Instagram, etc. By providing links to your store on these platforms, people will come to know about your store and may eventually consider visiting. The platform’s capacity to hold and regulate the public from various online channels plays a vital role. Shopify’s higher plans take care of this functionality by modifying its statistic charts and making sales channels even. While in BigCommerce, it is managed by various channel manager apps. Though many apps and functionalities are available with these platforms, sometimes you may want to add your own features and advancements to the website and for that, you will have to dive into basic or even a bit complex coding. Pre-requisites for editing the code for both platforms are that you should be familiar with HTML and CSS. To edit code with Shopify, you will also need to go through “liquid” which is a modeling language. Products are always at the heart of any online store. Because after all, everything revolves around for what purpose you have set up your store. Both Shopify and BigCommerce have unique and precise features to make product management easy for you. For product description, BigCommerce comes with a higher number of “options” you can use on products for adding variants of the same product (for example Size, Color, Weight, etc) whereas Shopify only offers 3 such options. You can let customers add or inscribe text and modify products with photographs for personalized products. This is comparatively easier to do with BigCommerce than Shopify. Shopify allows generating Smart Collections for a more managed distribution of products. For example, you have a very particular collection of clothes for summer so you can display all those products under the collection “Summer Collection”. This can be easily performed in Shopify. Both the platforms provide various apps for variations in Product Carousel, and videos can also be displayed in place of images of products or along with images of products on the carousel. Setting store online is not as similar an experience as having it offline since you are bound to get orders from a considerably larger range. You put up products for sale and orders patch in. Various scenarios occur after this. You can see who has checked out and what mode of payment buyer has gone for. If the buyer chooses to pay online, you should be able to get notifications. If he/she chooses to pay cash for delivery, you should be able to mark that as ‘Unpaid’. You are supposed to keep records of how many products have been sent out for delivery and how many orders are pending to be fulfilled. Lastly, the buyer should be able to get an invoice for the order placed. The buyer could also want to keep track of the order fulfillment. All these above-mentioned functionalities are taken care by Shopify as well BigCommerce. Both have a very simple to use Orders Page available on Dashboard only. UI in both the platforms may differ but basic functionalities are covered in both with easy navigation and precise record maintenance. Abandoned cart option in Shopify is available on dashboard even for trial store version, while in BigCommerce, an app needs to be installed in menial versions of the package. What abandoned cart does is it displays all the orders that customers have added to a cart but haven’t placed orders for yet. This feature also lets you send emails to such customers to remind them of their abandoned cart. In BigCommerce, abandoned cart recovery enables you to send up to 3 emails at a time and also with coupon codes to keep your buyers engaged whereas, in Shopify, the limitation is up to one email only. Every e-commerce platform comes with a wide range of integrated eCommerce tools. E-commerce tools perform and enhance various tasks and make burden of maintaining a site easy. These tools alter working on every aspect of that platform. Both the platforms have a number of unique tools but BigCommerce is quite known for its “Out-of-box” comprehensive range of e-commerce of tools. Giving exciting offers is a trick to woo customers and keep them attached to your store. BigCommerce lets you generate and send gift cards to customers via various media platforms. Coupon codes can also be generated in BigCommerce. With the help of coupon codes, you generate activation of these codes on various products. BigCommerce Standard package provides you with facilities like gift cards, a built-in ratings and review system, real-time carrier shipping quotes. While in Shopify, these facilities are available only in higher plans. Imagine you have a large number of products to display and they fall into different categories as they subdivide. For solving this, BigCommerce lets you create sub-menus through ‘Navigations’ tab. Also, there is add-on available which can let you create 1-level to 4-level subcategories to distribute your products in an understandable and fashionable manner. Creating multilevel menus is possible in Shopify too, but it is not as easy with Shopify as it is with BigCommerce. It is the responsibility of the store owner to take care of tax configuration in various states and countries. Sales tax is specifically regulated by a place it is associated with. So prices of your products should vary with respect to these taxes, and it is an utter ease if your chosen platform takes care of that. Shopify lets you adjust prices and modify tax collection settings with a lot of ease. BigCommerce has the collaboration with Avalara to take care of this functionality and together, they have made tax configuration a breeze. 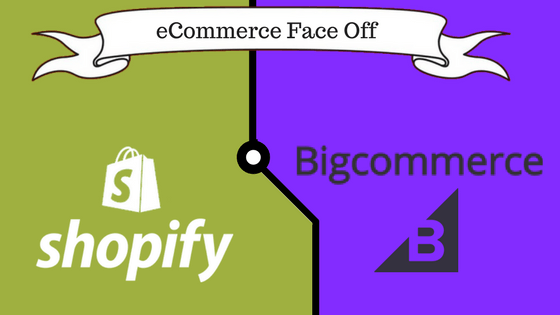 Shopify and BigCommerce both are leading e-commerce platforms. With reputation comes responsibility. The responsibility of letting store owners feel guided and supported with even the smallest of their concerns. Both the platforms have supporters distributed at different levels. You can hire designers to help you customize your store’s look and feel, developers, to aid with functionalities. If you are a complete novice and want to setup your store then you can hire ‘Setup Experts’ who can help to start your store online from scratch. Experts also come in the category of marketers and photographers. Shopify gives an added advantage here by listing experts that are geographically closer to you so that if need be, you can meet them personally to get a solution to your problems. Experts in BigCommerce have the freedom to quote their own prices which sometimes adds to the confusion of which one to select. Also, Shopify has a bigger team of experts as compared to BigCommerce. This in no way implies that one’s team of experts is better than that of others. Also, both the platforms offer 24/7 support to reach these experts or for solving menial issues through forum discussions via various facilities like email, online chats as well as calls. The aim of this article is to purely draw a comparison between these two platforms so that you can choose what to and what not to keep as a feature of your online store. Since it is designed keeping comparison at the center, not all the properties of both these platforms are discussed here. So for deciding which one is suitable for you, you will have to look for all the facilities provided as well as, going for trial packs of both which is 14 days period for BigCommerce and 15 days period for Shopify. Seasonal Promotions are exploited by everyone, consumers, and businesses altogether. No business should miss the holiday bandwagon, especially in current environments where e-commerce boom makes it hard for brands to remain alive. Seasons not only bring opportunities for earnings but can also expose your brand to a spectrum of the user base that was unaware of your existence. If the experience is decent, a one-time consumer might convert to the loyal subscriber. Let’s address the elephant in the room! Most consumers will look for deals during seasons. However, just providing holiday discount won’t do the trick. There also are several other factors to consider while preparing your online store for Holiday Season. Most e-commerce today has its way by garnering new audience over Holidays. Seasonal planning is crucial and most of the big brands revolve their marketing strategy around seasons and holidays. Web traffic spikes during Seasons. Average user spends hundreds of dollars in the USA during holidays. It only makes sense to reap the benefits as they are available. The total sales during holidays have been rising steadily by a decent percentage over previous years. Currently, holiday seasons mark billions of dollars in worldwide e-commerce sales. Also, for most families and individuals, holidays provide a reason to spend in excess. Users are going to purchase something anyway, although sometimes unnecessarily, so planning over holiday season might actually sell a product that keeps dusting away a whole year. By embracing the holiday itself, and building a promotion around it, the brand can get connected with users. Long-term thinking and good marketing campaign on Holiday can do wonders for a brand. Going seasonal is not an alien concept. The specifics such as When, Where and How to go Seasonal is where one might begin. When: Not every Holiday will be relevant to your brand. It makes no sense for Electronics to go on sale on 4th of July or Memorial Day. Similarly, hardware and tools’ business shouldn’t set up a sale for Christmas. The When a part is also affected by demographics and local factors. One may alternatively play it safe by looking at what industry in same niche and location does that works. The promotion itself needs to be carefully crafted. One needs to follow all generic guidelines, and also be creative to stand out a bit. Here, caution needs to be exercised as being sloppy can backfire and hurt your brand permanently. Where and How: Promotions are aided with adverts, with usual marketing on Social platforms and through Emails. A recent trend has seen that lesser and lesser percentage of people arrive at large e-commerce sites through social channels. Social channels can spread the word about a Deal getting offered, but these generally spread using word-of-mouth. Adverts might prove to be effective for some, on the Social platform, if proper targeting is implemented. Here, a successful season for newer businesses requires special effort on getting the word out, as to why people need to visit your website. These include generic seasonal events such as Valentine’s Day, Christmas, Thanksgiving and other cultural and religious holidays. These are based on the location and demographics that the business is targeting. Such as 4th of July or Columbus Day in the USA, or Independence Day of respective countries, etc. There is a multitude of Holidays every year. Refer this page to view the list of important dates of 2018. Social platforms can do wonders for your brand if availed in a proper way. Most businesses go with a paid advert on Holidays. This boils down to running a successful social ad campaign. Alternatively one can also plan a custom campaign, without using paid advertising. Social Ad campaigns can be run all over the year. Holidays make it better for higher audience availability and buying intent. The successful social campaign needs all the basics, plus some add-ons to give a season/holiday spin. Targeting: Setting targeting according to product chosen to promote and audience. Keeping up with Trends: Use relevant Tags, Season related Infographics, GIFs, Videos and try to link your brand with recent trends. Try to be unique and original. Standing out of the crowd is necessary when the whole industry will be running campaigns. Hint Urgency: Try to gain attention by showing relevancy and urgency. There are numerous other strategies while running a Social Marketing campaign, and so it can be researched and planned. While Emails are generally not considered as a key platform for holiday marketing, they certainly do work. Email marketing is tricky for small businesses with fewer subscribers, but with recurring users and a decent number of registered users, it’s harmless to run an email campaign. Straightforward execution of marketing campaign. Instant buying options inside the email itself. Automation and deals personalized to the user or higher CTR. There are again a million points to consider while running an email campaign in general, such as choosing a proper subject line, making email personalized to the user, prioritizing the call-to-action content in email, etc. One may refer relevant content related to Email marketing if necessary. Search engines are gigantic platforms and most users will alternatively search the product they need to buy and look for options themselves. Search engines can be targeted for sales during holidays by publishing fresh content, publishing holiday relevant deals and having good SEO for organic free holiday traffic. Also, one can use Paid Advertising, with specific products relevant to the season and offer discounts and incentives. Paid advertising brings a chunk of holiday season traffic and cannot be overlooked. To get started on paid advertising, one may consider one of the popular ad networks such as Adwords, Bing Ads, etc. Google Adwords also has a link to Google Merchant Center, which can automate the task of creating product advert and running a campaign. Although not many regions use print advertising to boost online sales during holidays, the certain audience from some regions may still have enough readerships of print media like newspapers to make sense for businesses to run print Ads. Most countries, including USA, India, and many others have big e-commerce companies running Newspaper ads before holiday season, highlighting offers and discounts. Print media may not work for small-medium businesses unless executed correctly. One of the most effective promotional campaign types, for long-term profits. Brands always stay on through time. Take Nokia, which was literally dead, rose just due to its brand value. Seasons are the time when Businesses generate sales, as well as give out good experiences adding to brand value. Although saying this implies that product sales might do well for the brand awareness if the experience is decent, it works the other way round most of the time. E-commerce can be tricky, especially for new and developing businesses. You might do all you can focus on product sales, and still have things not working out. There are dynamics such as trust, store-appeal, and familiarity. By focusing on branding using Videos, Infographics and other rich media in promotions, as well as doing backend work by contribution to industry and community through deep involvement, branding campaign can be kicked off. Here, the trust factor is quite vital in driving final product sales. Branding can not only drive your sales up but can also improve your product sales campaign. 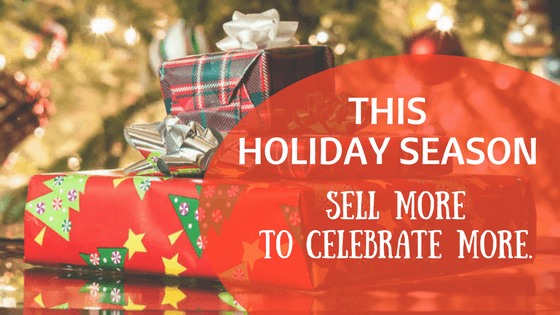 When it comes to holidays, you have the audience eager and buying-ready. Holidays and seasons also help create an appealing campaign around the event. It being a holiday season means the greater audience that is open to ideas and products. There is greater real-time audience on almost all digital platforms, TV and online alike. The campaign can be based on something the users are experiencing during the season, providing an easy connect. This teamed up with the right amount of Nostalgia and Creativity surely books huge seasonal sales. Product sales are the default mode of promotion, be it physical or digital goods. They are quantifiable, meaning you know if the promotion is going the right way or not. Also other metrics such as ROI, profits and targets are based on Sales metric, so it is appealing to be thinking of hiking sales. Now the general way of promoting product sales, by mixing holiday juice in your promotion and slipping the product part at the right time works. It is effective in both direct and indirect ways. Other approaches to seasonal product sales include one without direct promotion. It is the most common approach used, offering the Crazy Deal. News about holiday deals can spread like wildfire, and although it might lessen profits, there are ample overall advantages. Firstly consumers un-heard of your business will engage with it. You get a chance to showcase how you are better than the competition. Secondly, the discount deal generally expires quickly, and what one is left with is a bunch of traffic that spreads across other products on the website. Also, the news/posts regarding the deal spread on social platforms without any directly paid promotion, and remain on the social platform long after the discount vanishes. The second way and the standard way of product promotion during seasons is straightforward advertising to the targeted user based on various metrics on popular advertising platforms. Readiness to buy and higher traffic during the holidays makes the campaign more likely to succeed if executed in a proper way. In a gross generalization, sales and branding should be balanced, discount offers should be executed smartly and retention must also be desired along with acquisition. There are a few things that can make you result in a loss. Firstly, strike a balance between branding and product sales. If the promotion is more focused towards branding, one can end up with nothing on paper. If one has a small business, with low or no sales happening, holiday deals might seem to be a good idea to drive traffic and sales. More often than not, as soon as the deal expires, the traffic vanishes and might not return year-round. Strategic planning for medium-term is a must. Festivals and other holidays being a great time to connect with your audience are to be handled carefully. One should avoid PR blunders due to overlooking of how the seasonal promotion might hurt someone’s sentiment. Generally, this happens when audience characteristics are overlooked and a sloppy seasonal promotion is created. In the cases where these promotions are made to spark a controversy, it is always risky as controversies are uncontrollable. Always stay away from being too funny, use hashtags after giving proper thought and stay away from risky associations. Transactions and money exchange through credit cards have proven to be very beneficial in online business. It aids in increasing revenue and your customer base, in addition with the improvement in overall productivity. All you have to do is- Get yourself a merchant account to be able to accept cards for payments. With this, you add convenience, cost-effectiveness and a professional image right into your business. If you have already covered this step, you probably realize how confusing credit card processing can be. Here is a figure to simplify it for you. 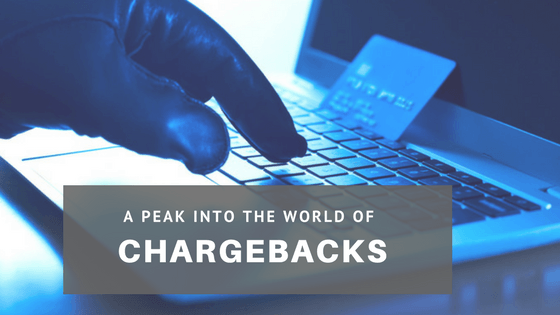 Given that it may take time for you to get around with this entire process, there is one important aspect about merchant accounts that you need to know very well – chargebacks. Whether you are someone who is just curious about how a chargeback works, or a seller who has received his first chargeback, it is important to understand how chargebacks have a great and irreversible impact on an online business. In chargeback process, cardholders file a dispute with their issuing bank, at which point the merchant’s bank is debited the amount of the transaction that was previously credited. The merchant must provide compelling evidence to disprove any fraudulent activity associated with the transaction. If the issuing bank deems the evidence enough to overturn the cardholder’s dispute, the funds are returned to the merchant. If the cardholder still believes he was the victim of fraud, he can initiate a second chargeback, also called pre-arbitration. It is undeniably important to understand when consumers can use the privilege of chargebacks. In any case of identity theft and unauthorized transactions, the victim should contact the bank immediately. This is necessary not only to recoup victim’s stolen money, but also to help prevent future losses. However, it is for the consumer’s betterment to contact the merchant directly when fraud has or seems to have occurred. In some cases, it is observed that the supposed fraud was actually an accident. This could happen as an innocent under which the consumer has forgotten about the purchase. Additionally, a refund is recommended because it usually puts money back in the consumer’s account much quicker than a chargeback. Filing a chargeback instead of seeking a traditional refund when unsatisfied with a purchase is cyber shoplifting. Filing an illegitimate chargeback allows the cardholder to retain possession of the purchased item, even after the purchase amount has been refunded. Consumers need to request a traditional refund from the merchant and return the item, making it possible for the merchant to sell the merchandise again for a profit. Otherwise, the consumer is getting something for free—the very definition of stealing. Chargebacks can be catergorized into three types. 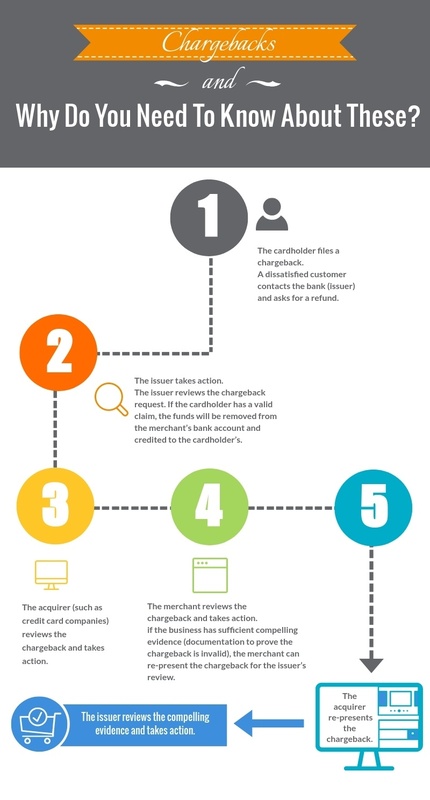 Merchant error chargeback is the most common type of chargebacks. Merchant side errors don’t necessarily mean to be intentional. But, the effects of such mistakes end up bringing a great deal of harm and damage to the store in different ways. Authorization errors or faulty product fulfillment. Customers are liable to filing a chargeback if your system is generating their bills without their knowledge or consent. This type of recurring billing chargebacks is common with the businesses that accept payments in installments. This category deals with an actual fraud. Purchase made by an individual is completed by a presumably stolen credit card information while the legitimate card holder is unaware of the transaction made. So, the owner of the credit card is sure to file a chargeback. Such a transaction is illegal and laws in place can severely punish the person held responsible for this crime. Occasionally, this chargeback can be a result of some internal misunderstading. Sometimes, a family member could make a purchase using a family credit card and another member of their family may not be aware of that transaction and could file a claim against your business. This type of fraud is also considered to be an honest and innocent mistake. But this time, unlike from merchant’s side in ‘Merchant Error’ category, this is a mistake from consumer’s side. A customer committing friendly fraud doesn’t present a potential threat to your business. You can assume this type of fraudster belongs to the confused, misguided or forgetful lot. For subscription merchants, this usually manifests in customers who legitimately agreed to recurring billing, but were genuinely unaware of what they were agreeing to. No matter how many fail-safes and opt-ins your business uses, there will always be a customer who overlooks the terms of an agreement. That doesn’t mean the customer won’t be interested in your services in the future. Banning this customer from making purchases at your store is not recommended. You should rather work to get to the roots of misunderstanding and this way, prevent such scenarios from occurring anytime in future. Who all are involved in a Chargeback? Let’s have a brief idea of all the roles played when a chargeback if filed and is acted upon. The customer is usually the cardholder who has made a purchase. For our discussion, we will also regard a person who is seeing a transaction on his statement from a particular merchant, as a customer. In further discussions, we will be using terms ‘customer’ and ‘cardholder’ interchangeably. Credit card companies usually guarantee zero-fraud liability to their cardholders. Issuing bank or the issuer is the provider of payment cards (credit, debit, prepaid, etc.) to customers. The issuer is the one responsible in regards to the payout of funds from cardholder to anyone. Also, it is obvious that the customer’s balance and authorization is managed by the issuing bank’s processor. The issuing bank processor manages data and transactions related to customer’s account. These take care of payments that take place. These manage settlement process between issuing and acquiring banks. These provide data connection and regulate flowing of funds between customer and merchant. Acquiring Bank is the financial body behind Card Networks. Their main function is to receive funds through card network on the merchant’s behalf from customer’s issuing bank. 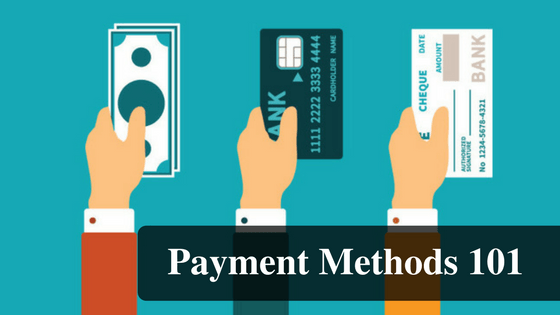 The merchant account processor is a company that partners with an acquiring bank to process payments on behalf of the merchant. Merchants typically have a closer relationship with their account processor than their acquiring bank. A merchant’s processor and acquiring bank can be, and often are, the same institution. Merchant commercial bank account is where the funds are deposited after the acquiring bank acquires those from the issuing bank through card network. This is the last stop of funds transferred from a cardholder. Also, when a chargeback is initiated, the funds from this account are automatically withdrawn to get them moved back to cardholder’s account. 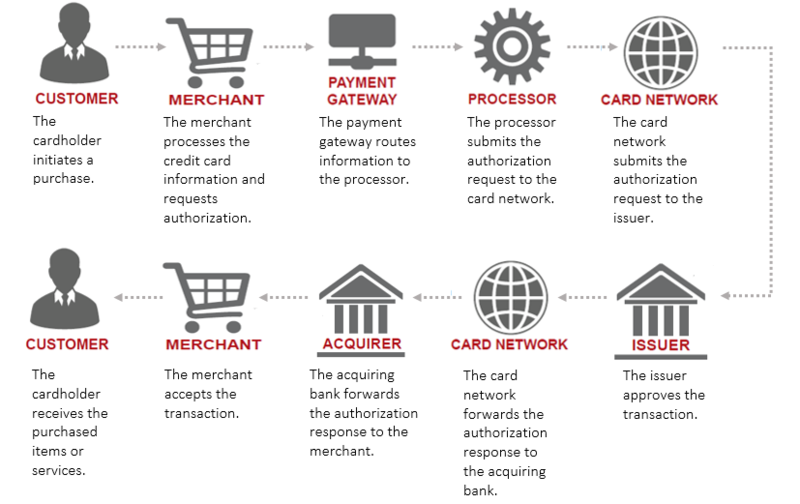 The payment gateway does the complex work of building secure connections to merchant account processors. It acts as a “virtual” credit card terminal allows a merchant to submit payments to a processor via the internet. It is often analogized as a virtual credit card terminal. Payment gateways also provide fraud filters, recurring billing payments, and other valuable functionalities to assist ecommerce companies. Merchant is any business, company, brand, service provider, or other relevant party who provides a good or service in exchange for payment. To identify the reason because of which an issuer files a chargeback, reasons codes were put into place. These reason codes are predefined and vary as per the credit card company. This list gives details about the chargeback reason codes. If we categorize the outcomes of chargebacks, then you will observe that, every chargeback has three possible outcomes. Every chargeback, when filed, is either coded under a fraud reason code or a non-fraud reason code. But sometimes, when chargebacks are coded as fraud, they come out to be non-fraud after further investigations. And in such cases, chargeback fraud or friendly fraud is found to be the reason. Because of this pseudo categorization of chargebacks into frauds, many merchants simple give in and assume those to be un-winnable cases of fraud. When studies rolled out, it was revealed that more than three quarters of chargebacks are just the cases of friendly fraud. Accepting credit card payments is beneficial to a business and with chargebacks, we study how it may backfire. When a customer files a chargeback, no matter what reason there is behind it, you have to go through the whole process. It is time-consuming and holds your resources. This may result in a kickback for your sales too. Also, all the fees involved, the stringent process and complex procedures, who knows if all this is worth it in the end! Online credit card transactions are regarded as ‘Card Not Present’ or CNP transactions. A merchant account agreement usually, specifies that the merchant is 100% liable for any type of mishaps that could take place. During physical transactions, where both the cardholder and the card are present, it is the credit card institutions who take sole responsibility in cases of chargebacks. However, during online CNP transactions, merchants are solely responsible. Unfortunately, there is no way out for a merchant in any of the two cases- actually fraud or a malicious attempt by the cardholder. And, if merchant fails to provide enough proof to back up the transaction, he has to face the consequences. 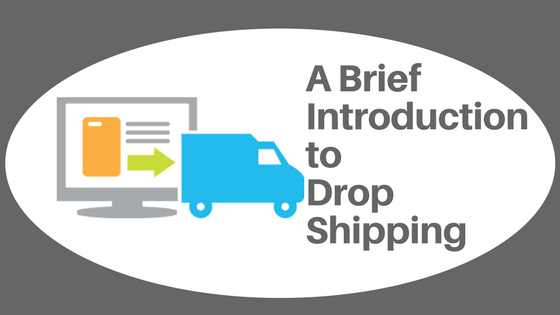 Moreover, shipping charges involved to ship the products also go down the drain. Credit card institutions usually favor cardholder’s concerns and focus on keeping them happy. This is simply because they want their customers to keep going back to them (and not lose their clientele) so that customers keep using their cards to make purchases. These institutions value their cardholders’ best interests, such that any form of dissatisfaction or complaint usually results in chargebacks – all at the expense of honest merchants. Chargebacks are not only responsible for bringing losses in financial aspects. Multiple chargebacks filed against single merchant has even worse consequences on the part of the merchant. The credit card instituition may blacklist the merchant. The merchant’s online account may get terminated. Multiple chargebacks potentially ruin the reputation of an online store. Sales drop because merchants have to manage various procedures related to chargebacks. Awareness about chargebacks is a must on both the sides- merchant’s as well as consumer’s. It is responsibility of both of them to accept consequences for the actions involved in the process. Providing high quality products and services. Keeping proper return and refund policies in place. By taking the necessary steps to detect fraud, merchants can identify transactions that could potentially lead to chargebacks. Preventing these fraudsters from making purchases reduces the risk of a resulting chargeback. Preventing chargebacks is a way to go. But sometimes these are inevitable and the only thing merchants should resort to- Fighting chargebacks. When more and more merchants dispute over false claims byt cardholders, banks become aware. This can go a long way in getting false chargebacks filed in future. It also helps educate consumers about what is a chargeback and when it should safely be used. Cardholders have to be aware of one fact- Holding a card is a privilege and, not a right. This privilege comes with its own set and responsibilities and understanding how chargebacks work, is one of them. Consumers should file a chargeback only in truly dire situations. They are the last resort, not the first action to take when seeking a refund. Consumers can’t impose chargebacks carelessly as this is harms merchants on more than one scales. Hopefully, with proper education about what a chargeback is, both merchants and consumers can see a decline in the number of faulty chargeback claims.